IPT’s inaugural publication back in 1985, The Metal Trades handbook quickly set the standard for industrial books published in North America. NOTE: Measurements are in both metric and imperial. Used by veterans and apprentices in all types of industrial and resource-based industries, this handbook and manual dictate the curriculum in many apprenticeship and upgrading programs. 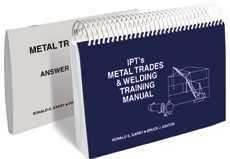 Technical schools and colleges alike use the IPT Metal Trades &; Welding handbook and manual as the main course of study. 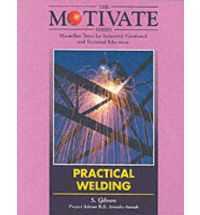 Revised in 2007 to meet industry requests for additional welding information, IPT’s Metal Trades &; Welding Handbook and Training Manual now feature 15 detailed sections over almost 600 pages. Topics range from mobile cranes and heat exchangers to concrete reinforcing and welding metallurgy, and everything in between. When it comes to metal trades and welding, IPT covers it all!